Are Women Changing the Rules of Negotiation? Why does society sell women short when it comes to negotiating? Women are in bargaining positions on a daily basis — from getting the family to agree on a vacation destination, to motivating compliance in a child, and finding win-win solutions when it comes to allocating their time to others. Unfortunately, this doesn’t always translate to expectations in business world. When seated at the bargaining table, men take the competitive route and women are more collaborative in their approach. So what does it take to get to the top? It’s not a matter of women being incapable or even unwilling to assert themselves and ask for what they want. Many just need the tools and the confidence to learn how to do it effectively. Not seeing situations as opportunities to negotiate. Not negotiating for themselves like they would for someone else. Not being willing to say no. Everyone is the new kid on the block at one time or another, so if you are intimidated by the thought of pushing for what you want, keep in mind, the more you do it, the easier it will become. You might scrape your knees a few times along the way, but men do too. Take advantage of every opportunity to negotiate. Face your challenges head on, because practice will make you better in the long run. Believe that you are worth getting what you want. Women inadvertently sell themselves short, so it’s important to embrace your strengths and leverage them with confidence. Take the initiative to go after what you want. If you wait around for people to notice you and reward you for a job well done, you will spend a lot of time waiting. The women who do make it to the top, get there because they made it happen. Be ready to take control – emotionally, mentally, physically. You must be the one to set the tone for any negotiation. Check your emotions at the door and put on your game face. Always have a thorough plan in place. You must know what you want, what you are willing to give up, and how far you can be pushed. You also need to understand what the other side wants, how you will support your position if faced with an objection, and be willing to play the game when the opposition is in it for the win too. 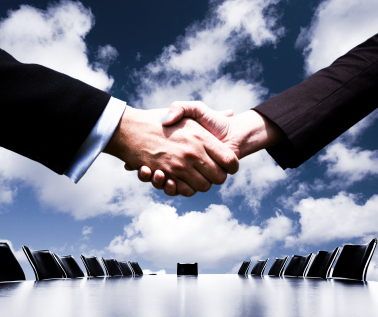 Becoming a great negotiator is vital to your business success. If you haven’t had much experience, seek out opportunities to leverage your natural talents, just like you do each day in your personal life. The main difference is merely the players. This entry was written by Dr. Shannon Reece, posted on November 18, 2010 at 6:00 am, filed under Alphabet of Entrepreneurs, Aspiring Entrepreneurs and tagged businesswoman, entrepreneur, negotiation, startups, strategies for women. Bookmark the permalink. Follow any comments here with the RSS feed for this post. Post a comment or leave a trackback: Trackback URL.